You are spending your holidays in Pula, but you also want to explore its surroundings. Surely, the three-thousand-year-old city offers plenty of attractions, but if you have already seen the Arena, Temple of Augustus, Twin Gates, Kaštel … set off to the Brijuni Islands, one of the most attractive tourist destinations in Croatia. This is an archipelago off the western coast of Istria, which together with its local waters was proclaimed a national park in 1983. 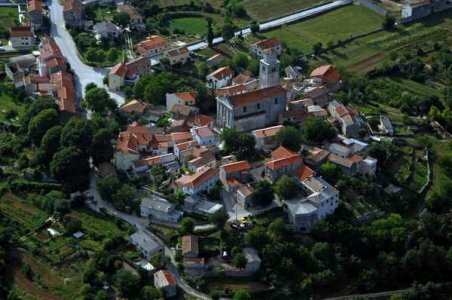 The Brijuni are only 6 km from Pula, separated from the mainland by the Fažana Channel and opposite the town of Fažana, which is the port of departure for regular boat service to the islands. You can also visit the Brijuni Islands if you set off on a fish picnic, on one of the many excursion boats at the Pula waterfront. Some of them will take you on a tour around the islands, but some offer an excursion to Veliki Brijun as well. A completely different experience awaits you if you set off on a tour of Pula’s fortifications called Top-secret fortification tour, where you can take a walk along the city’s fortification system built during the period of the Austro-Hungarian Monarchy. This is an impressive attraction well worth visiting. Pula can also be the departure point for the Kvarner Islands – Malog Lošinj, Cres, Unije or Susak. Enjoy the fantastic boat ride, sightseeing tour of Mali Lošinj, the largest town on the island, take a walk along the sandy beaches of Susak and listen to the specific island dialect. 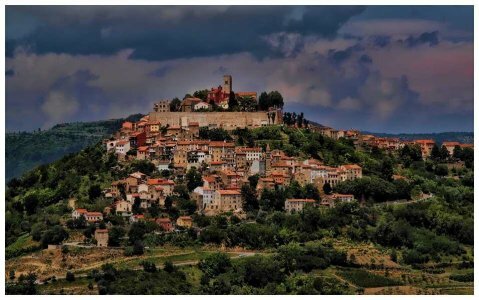 If you want to experience something other than the sea, head on an excursion to the interior of Istria where picturesque hills, enchanting medieval towns, untouched nature and rich cultural heritage await you. Also, don’t miss the delicious gastronomic specialties of central Istria. And while you’re in Pula, you can also visit the Plitvice Lakes. The unique harmony of natural beauty in this stunning national park, which consists of sixteen lakes, is equally attractive in every season of the year – summer, winter, spring and autumn. From nearby Roving or Poreč, you can easily reach Venice by boat, the Italian city of love and its famous carnival. There are full day excursions and tourist agencies provide transfers from Pula to Rovinj and Poreč. Venice is said to be one of the most beautiful cities in the world. Venice is also referred to as the “museum on the sea” owing to its rich historical and cultural heritage, where a different historical tale awaits you at every corner. Venice is a city on 118 islands, divided by 170 canals and connected with over 400 bridges. Enchanting Pula is the perfect place for new adventures, and it’s up to you to choose where to go. Pula offers plenty of possibilities within easy reach.